Airline websites have become the newest battleground between the United States and China. Washington and Beijing clashed this weekend over Chinese demands that more than 30 international airlines, including some US carriers, change their websites to remove any information that could suggest that Taiwan, Hong Kong or Macau are not part of China. The pressure on the airlines is just the latest flashpoint over how Beijing treats American companies. The White House, which slammed the demands as "Orwellian nonsense," said they are "part of a growing trend by the Chinese Communist Party to impose its political views on American citizens and private companies." But some airlines, including America's Delta (DAL) and Australia's Qantas (QABSY), have already said they are taking steps to comply with China's demands, highlighting the eagerness of global corporations to keep on Beijing's good side. "Air travel is growing faster in China than anywhere else and airlines are desperate to get their share," said Clive Hamilton, a public ethics professor at Australia's Charles Sturt University. "For them, kow-towing politically is a small price to pay." With its growing middle class, China is a big opportunity for global airlines. The International Air Transport Association forecast last year that China would surpass the United States as the world's top aviation market by 2020. China hasn't spelled out what the punishments might be for failing to comply with its demands. But it recently blocked Marriott (MAR) websites and apps for a week in the country after the company listed Tibet, Hong Kong, Macau and Taiwan as separate countries in emails and apps. Marriott issued a profuse public apology over the matter. 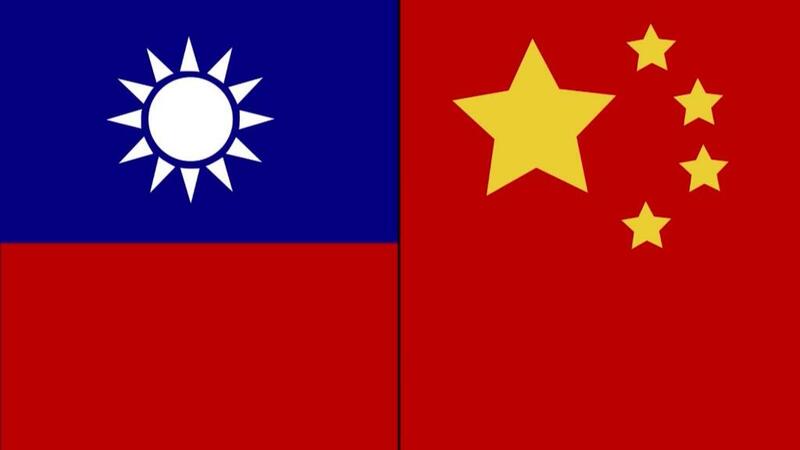 China considers self-governed Taiwan to be an integral part of its territory, and comes down hard on any suggestions to the contrary. Hong Kong and Macau are former European colonies that were returned to China in the late 1990s, becoming regions with a large degree of administrative autonomy. Tibet has been under Beijing's control since 1951. "Foreign companies operating in China should respect China's sovereignty and territorial integrity, abide by Chinese laws and respect the Chinese people's national feelings," Chinese Foreign Ministry spokesman Geng Shuang said in a statement Sunday responding to the criticism from the White House. Other major US companies have also been taking steps to change how they describe Taiwan. American Express (AXP), Goldman Sachs (GS) and Citibank (C) have all updated online information in the last several months in a way that softens or removes suggestions that China and Taiwan are separate countries, according to cached versions of their sites. None of them admitted to making the changes because of a specific request from the Chinese government. American Express said the change was "part of a routine update," while Goldman and Citi didn't comment. But experts say Beijing is effective at prompting businesses to censor themselves. "They don't always spell out specifically what you have to do, but they create an intimidating presence," said William Reinsch, a senior adviser at the Center for Strategic and International Studies. "You fix it yourself before they tell you what to do." Changing information on websites is a minor issue for companies compared with some of the choices they face over doing business in China. International corporations have long complained that China has strong-armed them into handing over trade secrets in exchange for market access. In some sectors, Beijing will only let foreign firms operate through joint ventures in which Chinese partners have the majority stake. The Trump administration has pointed to those kinds of practices as the reason for US plans to slap tariffs on tens of billions of dollars of Chinese goods, a move that has intensified fears of a trade war between the two countries. But Hamilton, the ethics professor, said the recent pressure China is putting on airlines about Taiwan could be a sign of things to come. "As long as Beijing gets away with it, its political demands on companies will only escalate," he said. -- Nanlin Fang and Serenitie Wang contributed to this report.